And if, after he returns to Bormio, the weather permits (as well as his personal condition), there is one more climb he would like to undertake, one that was a surprise find today: from Valdidentro (or Turri Piano) up to the Torri di Fraele. He and T. more or less stumbled upon it by accident – while driving up the hill from the backyard of the hotel, C. spotted what seemed like the outlook of a hairpin road, so they went to investigate. 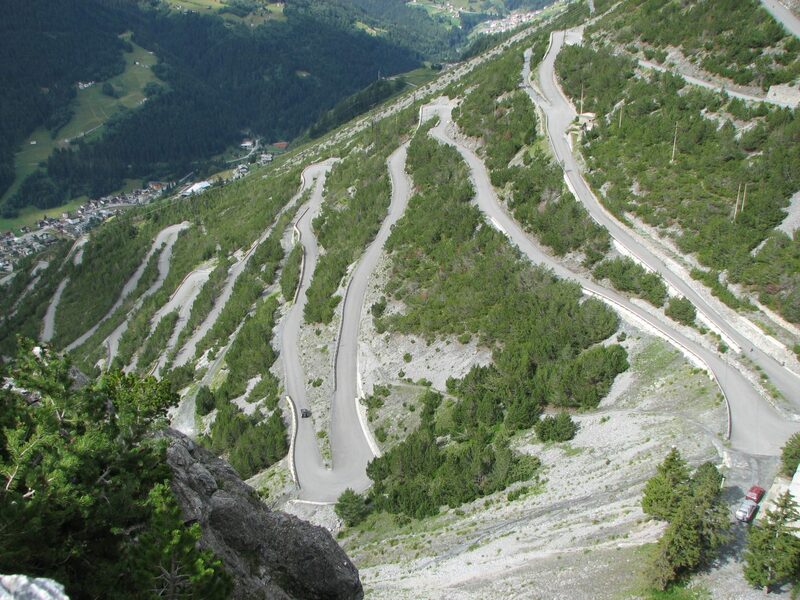 It’s a climb not listed on ClimbByBike or anywhere else, but the Torri di Fraele features a beautiful, winding road (some 20 hairpins) and has it’s summit at 1.941 meters; C. estimated that the climb is around 9 kilometers long, with some 650 – 700 altimeters, but if he undertakes it, the Garmin will tell for sure.